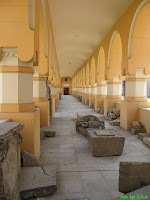 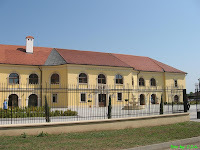 Alba-Iulia (the ancient Roman Apulum, also known as Gyulafehérvár and Karlsburg/ Weißenburg) is a modern city in today's Transylvania. 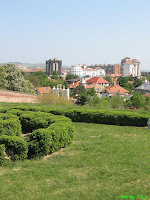 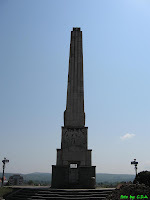 Being a place with a long history, there is much to tell and much to see, but the most important landmark is the upper city. 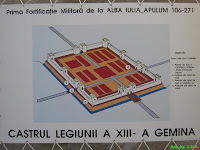 From the ancient roman city of Apulum, the stronghold constantly evolved as one of the most important settlements in Transylvania. 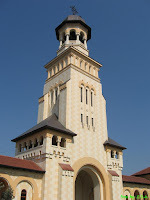 Alba Iulia became the capital of the Principality of Transylvania in 1541, a status it was to retain until 1690. 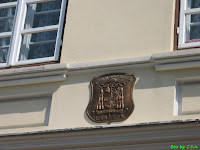 It witnessed the first unification of the three Romanian-populated principalities of Wallachia, Moldavia, and Transylvania, in the time of Michael The Brave (Mihai Viteazul) and also the proclamation of the union of Transylvania with the Kingdom of Romania. 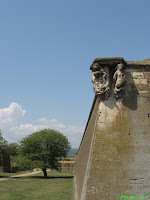 The final form of the fortress (Alba Carolina) was achieved between 1714 and 1738 (constructed by Giovanni Morando Visconti), and it is considered to be the most representative of Vauban type in Europe. 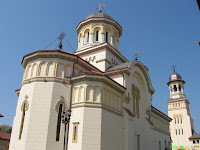 - The Crown Orthodox Cathedral (1921), also known as the Cathedral of National Reunion. 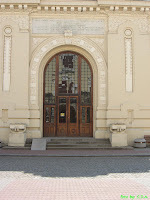 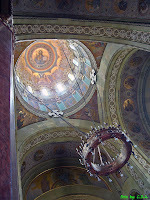 It has roman architectonic elements inspired from Târgoviște Royal Court. 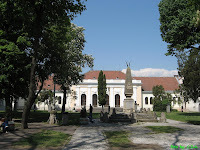 - The Roman-Catholic Cathedral (1246-1291) - One of the most valuable medieval monument in Transylvania and one of the most ancient in Romania. 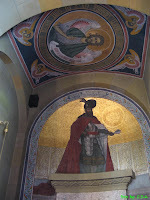 In the Cathedral are the remains of Hunyad prince family. 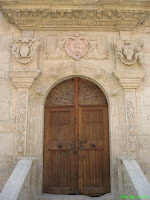 The architectural style includes gothic, romanesque and baroque elements. 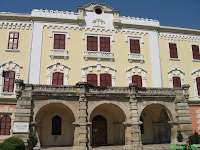 - The 3rd Citadel Gate, with the statue of Carol VI on the top and the interior façade having 4 statues representing: the Abundance, The Wisdom, The Temperance and The Force. 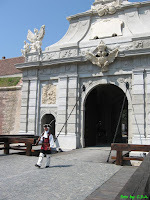 This is the gate where every day, at 12am, the changing of the guards takes place - an unique event in Romania. 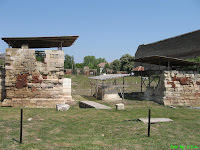 - The 1st Citadel Gate, with mythological reliefs. 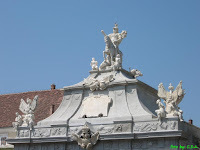 On the top of the Arch there are Venus (beauty symbol) and Mars (war symbol) and in the middle is the Austrian blazon (heraldic symbols can be seen all over the medieval fortresses). 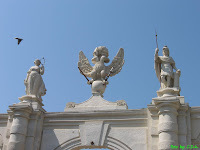 - The 4th Citadel Gate, with the Atlantis statue, the Fury statue, weapons, trophies and flags. 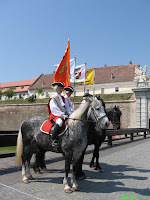 There's also the tourist tour (with an entrance fee) called "The Route of the Three Fortifications" - A unique tourist destination in Europe and the world, the Route of the Three Fortifications offers the visitors a life-time chance to travel 2,000 years back in time, walking about the vestiges of three fortifications belonging to three different historical epochs, successively built on the same location, each new citadel including the previous one: The Roman Castre (106 AD), The Medieval Citadel (XVIth -XVIIth cent.) 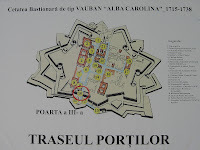 and the Alba Carolina Citadel, a Vauban-type fortification ( XVIIIth cent.). 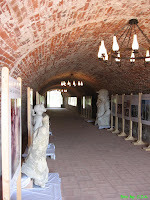 The route includes visits to: The Minting Factory Gate, South Gate of the Roman Castre, The Military Camp, The Access Tunnel to the Artillery Platform, The Artillery Platform, The Guard Room - The Arms Room, The Bethlem Bastion and the Alba Carolina Citadel. 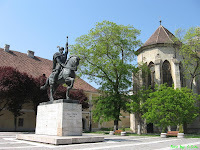 One of the best romanian historic movies is Mihai Viteazul, and one of its most impressive scene is the entrance of Michael The Great in Alba Iulia in 1599. 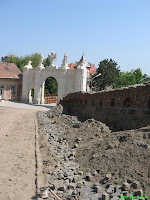 Since many people want to see THAT gate, but the fortress had a different structure at that time than the one we see today, there's a joke saying that the 4th citadel gate is the one Michael entered through and the 3rd citadel gate is the one Amza Pellea (the romanian actor playing Michael The Great in the movie) entered through.